You know that how much I believe in using intimate wash in daily hygiene. I am always open to try out new products available in market. Ever since I started using Anherb products I always look forward to try out their other products as well. That's when I came across their Lady Hygiene Wash. Read below to know my experience with the product. I have reviewed Anherb's facewash, Sun Gel, Sun Screen on my blog. 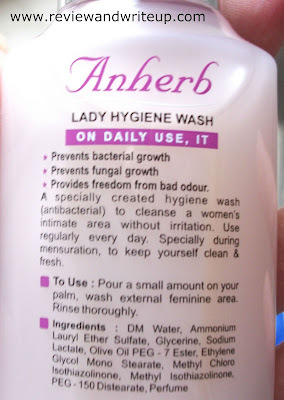 About the Product - Anherb Lady Hygiene Wash is a product designed for feminine area. This has olive and milk extracts. 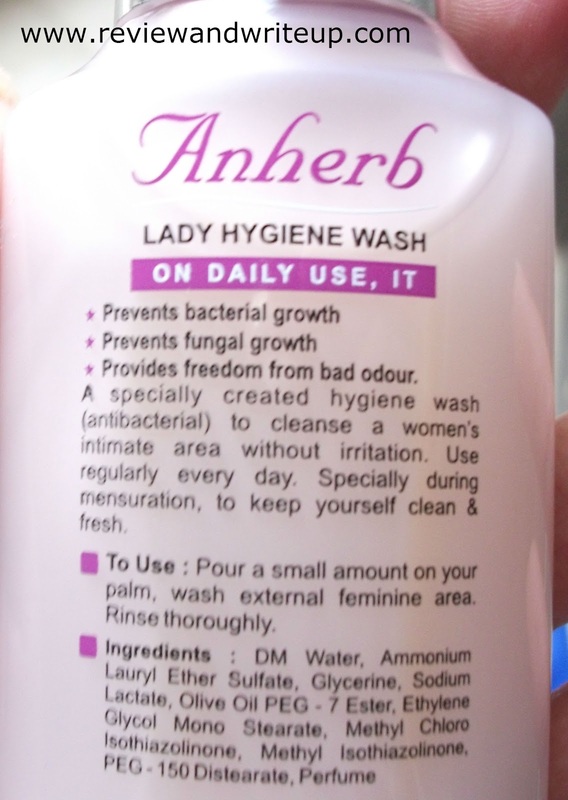 Packaging - Anherb Lady Hygiene Wash comes in a transcluscent plastic bottle which looks attractive. It has different packaging from other Anherb Products I have used so far, like no orange white. Bottle has steel-silver plated cap with press to open tab. You can squeeze out just the right amount easily. Claims of brand - Brand claims that its daily use can prevent bacterial, fungal growth. Also it provides freedom from bad odour. My Experience With the Product - I was quite confident about the product from the beginning. The texture is like that of rich shampoo and is in very light pink-peach color. When I saw the shampoo like texture I thought for a second whether it could be hard as compared to other intimate washes I have used so far, but it wasn't. Rather it gives silky, smooth feeling after wash. It also washes away easily. It smells good and I am sure that it will prevent bad odour. Its suggestive to use all intimate wash twice a day. Even in periods its very safe to use and cleanse area very well. The cap is tight enough to ensure no spillage from bottle. I can't verify about prevention of bacterial, fungal growth without microscope, haha. All I can ensure is it provides all day freshness to your intimate parts. Although I don't feel need to moisturize or dryness there after use, brand hasn't claimed about PH for intimate wash. This is quite expensive in comparison to similar products available in market when some others have PH in them as well. 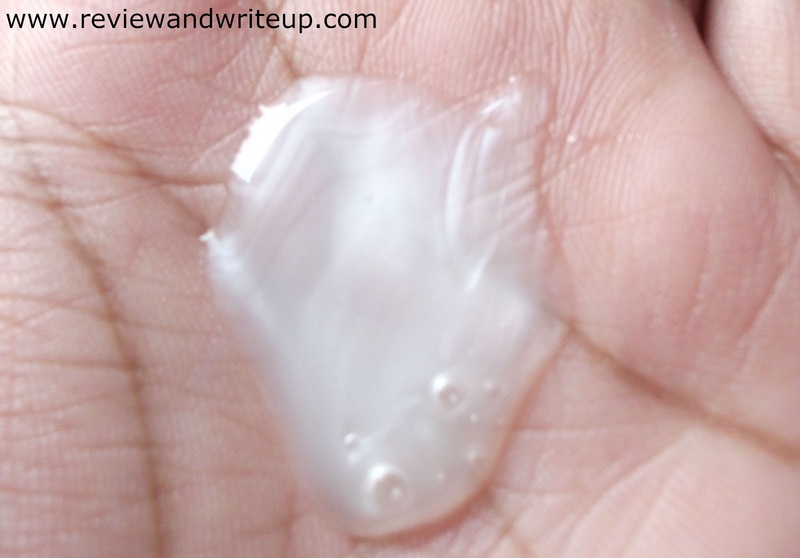 R&W Recommendation - If you have keeda of trying out new products then its good intimate wash. The product won't disappoint you. I will say don't rely on single brand always. Keep two-three in your kitty. In case one is not available or there are some issues than you can immediately switch to other without thinking. Let me know if you have tried this product already or would love to try. Looks like a good product Megha. Another option to choose from intimate washes available in India.